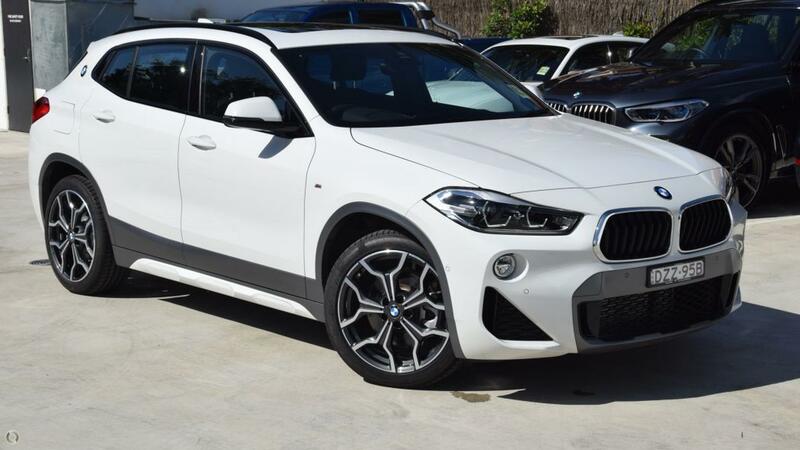 Recently registered BMW X2 xDrive20d M Sport finished in Alpine White with Black Dakota Leather with contrast stitching. The latest in BMWs legendary and innovative X-range, the first ever BMW X2 Sports Activity Coupe. Be The One Who Dares! With the balance of BMW's 3 Year Warranty and Roadside Assistance, this like-new vehicle is available for immediate delivery! *DRIVE AWAY PRICE (Incl. NSW Stamp Duty & Statutory Charges). This vehicle qualifies for BMW's Full Circle Program. What makes BMW Full Circle so outstanding is that it guarantees the value of your new BMW at the end of your finance contract, even before you drive it home. Finance available through BMW Financial Services; enquire now for a no obligation pre-approval. BMW Financial Services also offers Extended Warranties and competitive Comprehensive Insurance. Enquire now for more information. AS THE 2015 & 2016 BMW METRO DEALER OF THE YEAR, and with over 100 vehicles in stock including new, premium demonstrators, and pre-owned BMWs all at competitive prices, we're bound to have the right car for you. Our friendly staff are standing by to assist you with your enquiry. We more than welcome interstate guests and we can arrange the trade-in of your existing vehicle. Please note the stamp duty amount payable will vary depending on the state. Please enquire to discuss further.